AvtoVAZ has limped along throughout the post-Soviet era with a little changed product line of boxy Lada cars. MOSCOW (Reuters) -- Russian Prime Minister Vladimir Putin has pressed the head of the country's largest carmaker AvtoVAZ to outline modernization plans following state support which helped the company through the financial crisis. AvtoVAZ, in which France's Renault has a 25 percent stake, saw its sales rise this year as a result of car scrappage scheme, higher import duties on foreign made cars and cash injections but has so far failed to come up with new models. "We were talking about certain actions within a certain timeframe. What will happen with the plans we talked about in the near future?" Putin asked AvtoVAZ's CEO Igor Komarov during a meeting, according to an official transcript. AvtoVAZ has limped along throughout the post-Soviet era with a little changed product line of boxy Lada cars, most of them designed in the 1970s or 1980s. Putin said the car scrappage scheme has only helped demand for such cars. Lada sales surged 77 percent in June from a year ago, and are up 23 percent for the six months to end-June. "It would be sad to see the success of the state car scrappage scheme pushing modernization of the enterprise to the background," Putin told Komarov after asking the same question three times and seemingly losing patience. "Can you tell me in concise, clear language what will you do for these plans to be put into action?" Putin said. 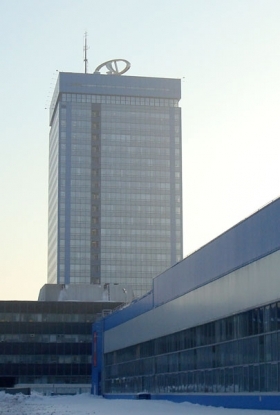 Komarov said the management boards of Renault and AvtoVAZ will hold a joint meeting in AvtoVAZ' s home town of Togliatti on July 16 to discuss business development plans and investment. "We will discuss practical steps towards realisation of our plans in different directions which will concern suppliers, research, launch of new models, new projects, investment volumes and development priorities," Komarov said. AvtoVAZ plans to launch production of five new models based on Renault's B0 platform in March 2012. It also plans to launch production of a new budget model based on its latest Kalina model at the end of next year. Komarov told Putin that AvtoVAZ had received access to Renault technologies and research. "I believe that for the first time we have achieved equality in relationship, access to innovation, platforms created by the Renault-Nissan alliance," said Komarov, promising to soon start working on a new model for the Russian market. Putin, keen to achieve industrial growth, has repeteadly urged Russian firms to gain access to advanced foreign technologies through partnerships or acquisitions to become more competitive in global markets.